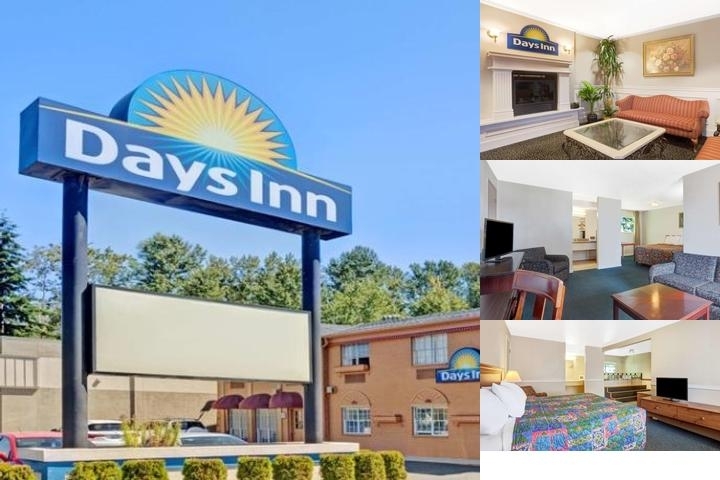 A basic 2 star hotel in the middle of Everett. Close to Boeing, Xfinity Arena. Right next to the freeway for an easy 30-40 minute drive to Seattle.2 meeting rooms, one 250 sq ft, one 200 sq ft. Seasonal Outdoor pool, open 9AM to 9PM, about 250 sq ft. Dogs only, $10/pet/day, only in non smoking double queen rooms. SeaTac, 42 miles, third party shuttles available, taxi will be more than $100. 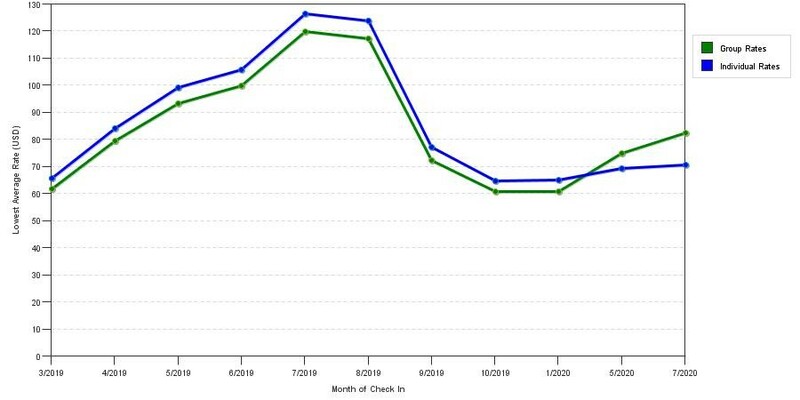 The graph above is seasonality of room rates for both group/meeting quotes and the lowest online individual rates our rate checker could find at the time the group offer was entered. The most competitive group deal shown is 6.4% in December 2019 and the highest average individual rate is $122 in the month of June 2019. This chart will show past seasonality and also project future months. If you are flexible with dates, you may want to consider staying at Days Inn by Wyndham Everett in a month when rates are lower. 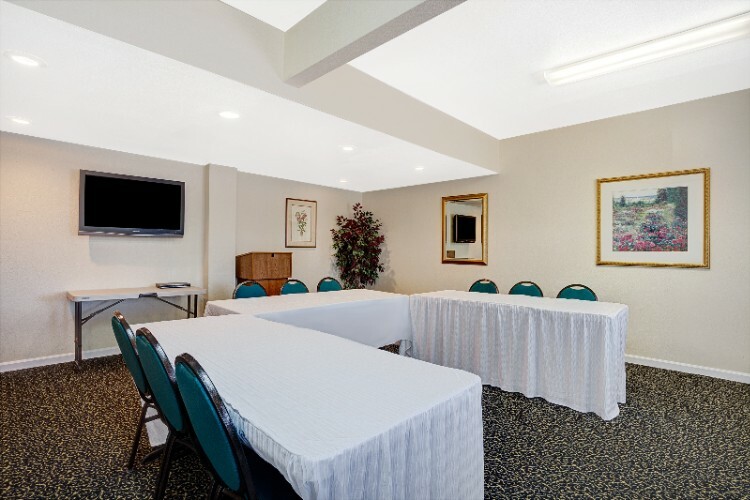 Below are the meeting, banquet, conference and event spaces at Days Inn by Wyndham Everett. Feel free to use the Days Inn by Wyndham Everett meeting space capacities chart below to help in your event planning. Hotel Planner specializes in Everett event planning for sleeping rooms and meeting space for corporate events, weddings, parties, conventions, negotiated rates and trade shows. 25 x 15 x 10 Ft.